Good form, conditioning and nutrition are key to preventing tennis injuries. Even so, injuries do occur. When they do, the conventional treatment is often powerful drugs to relieve the pain, swelling, and limited mobility of an injury. These drugs are helpful, but they are also accompanied by some negative side-effects. They mask the pain, but can delay or even derail the healing process. A mild injury can become chronic and even disabling enough to end your tennis playing career. Particularly when used in the first few days after an injury, LLLT can be very effective for helping pain and swelling go down fast. It can put you on the path to a quick return to the tennis court. When soft tissues such as muscles, tendons and ligaments are injured, they release chemicals that set off the body’s natural inflammatory response. The area becomes red, swollen, warm and painful. Icing, compression and elevation all help reduce the inflammation, but these are basically first-aid approaches that are only helpful if applied immediately. Even when they are, the inflammation and pain will persist for days or even weeks after the injury and could become chronic. 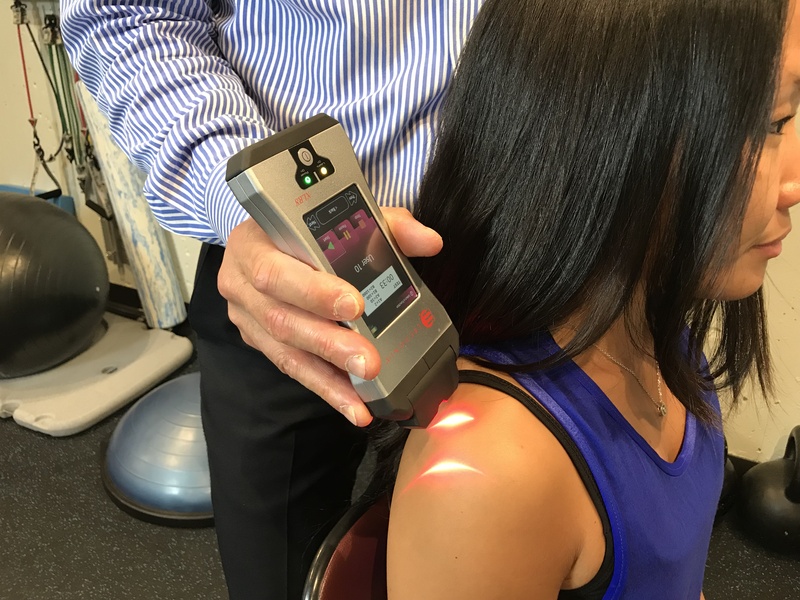 A healthcare provider using an FDA-approved laser is a safe, fast, and effective way to help heal soft tissue injuries without the risks of drugs. It works by exposing the injured soft tissue to coherent light at a specific wavelength, better known as laser. The light passes through the skin harmlessly and reaches the damaged area of soft tissue. When it does, it triggers a biological response that amplifies the healing process. The injured area pours out a cascade of natural chemicals that help reduce pain and swelling and improve mobility in the joint. By reducing the inflammation and stimulating your natural healing processes, laser therapy helps you feel and heal better and return to your tennis game faster. As a bonus, by quickly reducing inflammation at the site of the injury, LLLT helps reduce your risk of later developing osteoarthritis in the injured joint. Laser treatment is painless. There’s no sensation of heat and the skin and tissue aren’t damaged in any way. The laser light is delivered to the injured area using an FDA-approved device that emits light at 635 nm—the wavelength that has been shown to penetrate the skin and reach the soft tissue most effectively. The treatments are also short, taking only about three to five minutes a session. LLLT is particularly effective for common tennis injuries such as tennis elbow, rotator cuff tears, and Achilles tendon inflammation. It’s also helpful for other common tennis injuries, such as lower back pain, carpal tunnel syndrome, plantar fasciitis, knee strains, and mildly arthritic joints. In fact, laser therapy works so well that the prestigious British Journal of Medicine includes LLLT in its clinical evidence recommendations for tennis elbow. The American Physical Therapy Association recommends using laser therapy for injuries to the Achilles tendon. Overall, more than three thousand published studies in medical journals show that LLLT is safe and effective for sports injuries. Studies show that when LLLT and exercise therapy are combined, they are even more effective than exercise alone. 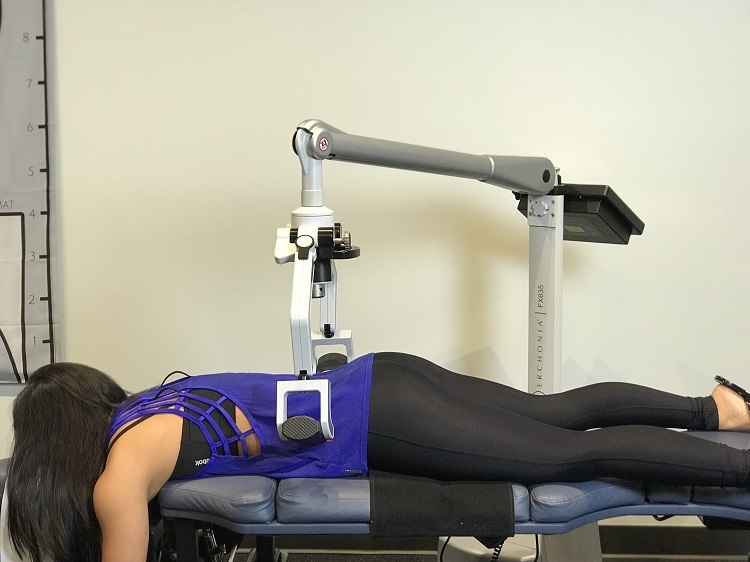 The two modalities complement each other, as shown by numerous studies that compare exercise and laser therapy with exercise or laser therapy alone. In studies of lower back pain, for example, laser plus exercise reduces pain levels far more than either modality alone. Laser therapy works quickly. Most people feel real relief soon after the first treatment and feel continuous improvement with each additional treatment. Fast, lasting pain relief is key to getting back to your tennis game and keeping the injury from becoming chronic. The longer you’re off the court, the more your conditioning and skills are reduced and the longer it takes to get them back. The beauty of laser therapy is that the pain relief is not only almost immediate, it’s ongoing. The relief lasts for many hours, and is less severe when it comes back. With laser treatment, you’ll be back on the court and playing with confidence sooner. LLLT is now being used extensively to rehab professional sports injuries, not limited to football, baseball, and/or basketball. I have found LLLT to be a great tool for rapid recovery and increased performance from a tennis injury. I consider it the most efficient, versatile and safest tool of the 21st century for sports injuries.